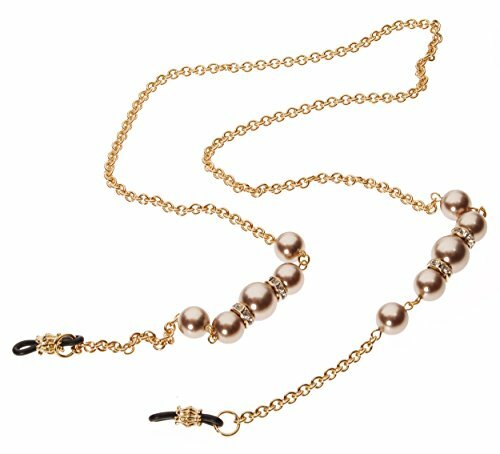 L. Erickson Cadabra Eyeglass Chain is an elegant addition to any eyewear. Embellished with glittering crystals, the gold-plated retainer chain features adjustable silicone loop ends to fit a variety of frames. With its fine German craftsmanship and eye-catching design, this luxurious lanyard will keep your lenses close to you in style. Created with Swarovski® crystals and pearls.